Should Elephant Riding Be Illegal? Over recent years there has been a growing backlash against elephant riding in Thailand. In response, many operators now advertise “no riding” camps where you can visit elephants to touch, bathe, and even feed them, but not ride on their backs. It’s increasingly acknowledged that riding elephants involves animal abuse, and yet it is not illegal. Should it be? 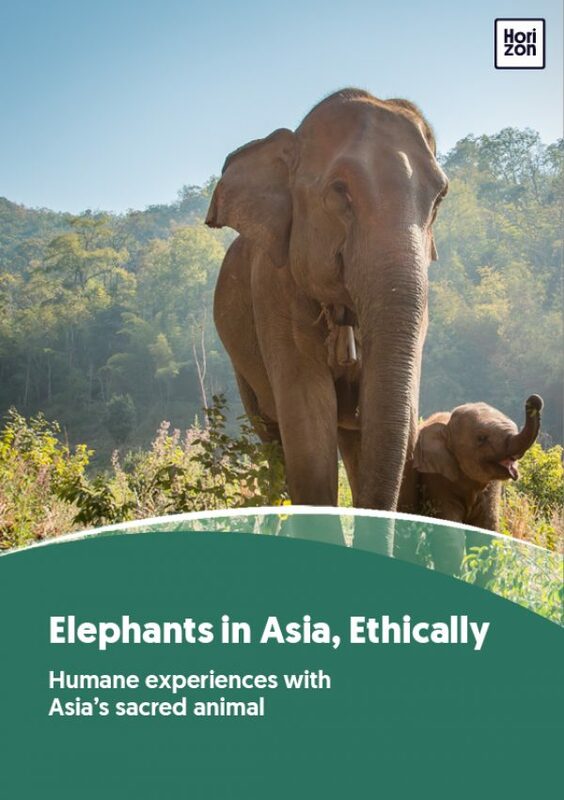 The most cited concern of elephant tourism and riding are issues of abuse. Elephants in riding camps are “broken”, a violent process that ensures they will follow commands. And this can be just the beginning of abuse. Visiting a camp for rescued elephants reveals the results of that abuse and neglect: many animals permanently blinded by slingshots, or maimed as the result of injuries left untreated. Any elephant that interacts with humans, in any sort of captivity, requires a certain amount of training, which often begins with the breaking process. While the phrase “domesticated elephant” is commonly used, in reality all elephants in captivity are wild animals, no different genetically from the elephants living in the wild. Elephants are intelligent, extremely strong, and have a will of their own. Even in reserves and parks that allow softer interaction such as elephant bathing, the elephants must be trained to follow commands (or enticed with food) to move to the river at the appointed time. Opponents of elephant riding may suggest that elephant rides are outlawed. One worry is that a ban could lead to another massive change in how elephants are treated and cared for, similar to the fallout after elephant logging in Thailand was ended in 1989. How will mahouts currently making a living and supporting themselves and their (expensive) elephants through rides, continue do so? The average lifespan of an elephant in captivity is 60 years – any solution needs to take into account the long-term effects on the elephants now employed giving rides. Nor would a legal ban ensure that elephant riding ends. When logging was banned in Thailand, an illegal trade continued in remote areas – often under cover of night. Some logging operations involved perilous border crossings to Myanmar. Similarly, a black market for elephant riding would look even murkier than the current legal one. What about a boycott? Where uncertainty and greenwashing abound, should wary travellers simply avoid elephant tourism altogether? That’s up to each individual. Any mass-organised boycott, however, could be just as damaging to livelihoods and welfare as a ban. For now, elephant riding is not illegal and any interaction with these huge, powerful animals can be a highlight of a visit to Thailand. Inform yourself on the issues, do your research, and make sure that any camp or preserve you visit treats its captive elephants humanely.